Parenting books are full of acronyms. Letters that stand for important, decisive actions. But can anyone really remember the correct acronym when kids are melting down, feeling excluded, or facing another challenge? Personally, I could never remember if I was supposed to ACT or CARE or something else entirely. All I could think of was to Stop, Drop, and Roll. While this approach failed to help the situation, at least I know my kids are well prepared for a small kitchen fire. If you loathe forgettable acronyms as much as I do, don’t give up on the parenting book genre just yet. Below are seven books that have truly made me a happier, better parent. Now, full disclosure: I “read” almost all of these books via audiobook as I washed dishes, cleaned my house, or took a walk. I download them to my phone and then just place it in airplane mode anytime I want to listen – I love that it keeps track of where I am so I can quickly pick up and listen to a few minutes while folding laundry. Okay, on to the list! Raise your hand if have ever felt mom guilt. I see your hand over there, thank you. You are part of a very exclusive, multi-million member club. How To Raise An Adult was the undoing of a lot of mom guilt for me. The author, Julie Lythcott-Haims, is a former Stanford University freshman advisor who has seen firsthand which parenting approaches help kids thrive in college and beyond. She also knows the kinds of missteps parents often make, and she’s put those insights into this book for you and me. Contrary to what you might expect from an Ivy-league advisor, she does NOT recommend shuttling kids from debate club to soccer practice to space camp. Her approach is more like the Konmarie method of decluttering for parenting. She asks us to do less, not more, and she explains how do that in a way that nurtures kids toward resourcefulness, resilience, emotional intelligence and competence. We want our kids to be smart about money and learn things like self-control, saving, and generosity, but maybe we’re not sure how to do that. Maybe we weren’t taught much about finances and still struggle with this topic as an adult. In The Opposite of Spoiled, New York Times finance columnist Ron Lieber shows us how to have meaningful conversations with our kids that will help them become grounded, patient, grateful, thrifty and able to persevere. I don’t usually read finance-related books for fun, but I could not put this one down. Leiber turned an uncomfortable topic on its head and gives tips that make things exciting and practical. And not just for my kids – a lot of what Leiber had to say helped me reframe the way I think about money in the context of my family’s values and priorities. Important note: While writing this book, Lieber interviewed families on dairy farms in Utah, wealthy families in the Hamptons, and teachers whose annual salaries are less than what their students parents earn in a month. Not every choice made by each family is realistic for everyone and the book has been criticized by some for that reason, but I think there is something valuable to be learned from every story that was shared. 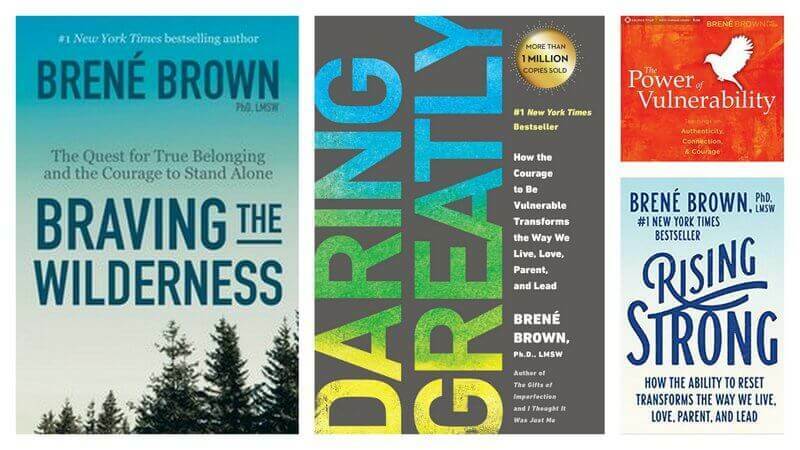 Technically “Everything by Brené Brown” is not a book, but I can’t pick just one title to recommend. Part of being a better parent is learning to be a better me. As it turns out, learning to be more compassionate with myself effortlessly made me more patient with my kids. I highly recommend her audiobooks as long as they’re actually read by Brené. She speaks with authenticity and conviction like few speakers I’ve ever heard, and thanks to her I’ve cried tears of relief more than once while washing dishes. Here’s what I’ve read and can recommend personally. There is some overlap between them but I found it helpful to hear the main points more than once. Katie of Wellness Mama and I have been having lots of good conversations about why kids need free, unstructured play, but these days that’s easier said than done. I love the practical ideas in this book for creating Playborhoods – aka neighborhoods that create opportunities for play in front (when safe to do so) and back yards, plus ideas for shared spaces in apartments and more. I haven’t read these yet, but they come highly recommended by friends. Do you have a favorite parenting book? Please let me know what it is in the comments below! Several on this list I’d like to look into! My favorite parenting book is For the Love of Discipline. A MUST read for every Christian parent! OOooooo Thank you! I think this is just what I need. Mine would be ‘calm parents, happy kids’. Helps me keep a stable and peaceful mind when my kids aren’t on their best behaviours. Yes I’m reading it right now and it is phenomenal! I will have to look up some of these. I would say my top two are ‘The Mission of Motherhood’ by Sally Clarkson and ‘Simple Parenting’ by Chuck & Sherry Quinley. Though I never read the book, the concepts I gleaned from a friend who read ‘Last Child in the Woods’ by Richard Louv were very influential to me too. Positive Discipline changed me as a person and a parent. Dr Shefali Tsabary is amazing – I would love you to read her books The Conscious Parent and The Awakened Family. Especially if you like to cry while washing the dishes 😉 Every time I read (or lately listen) to a section – it’s like having the best, most profound therapy session. 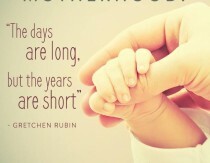 Undoubtedly it’s made most impact on me as a mother. Like Brene (who is wonderful too but not quite as specific about our roles as parents) if you listen to Shefali read her books it’s even better. This is an awesome post, just what I needed. Thank you!! Parenting from the Inside Out (Siegel) and all the books by LR Knost. I have tons of my shelf and make myself keep reading them, because every time I do I’m so encouraged and feel so much more calm. Grateful for all the great writers out there! I’m excited to read a bunch of these! My favorite has been How to Talk so Kids will Listen and How to Listen so Kids Will Talk by Faber & Mazlish–such practical suggestions that are applicable immediately! Plus a good chunk of the book is written in graphic novel form, so my non-reader husband even read those parts! I have really benefited from How to Listen So Kids will Talk as well as their other book, Siblings Without Rivalry. Very practical and easy to implement ideas that have helped tremendously with my boys 20 months apart. Middle School Makeover bubble Michelle Icard is super helpful in explaining why a not-yet-done-developing brain makes middle schoolers the way they are. And then she gives helpful tips to help you help your kid without either of you going nuts. Balanced and Barefoot is a gem. I highly recommend it! I love the book Listen by Patty Wipfler and Tosha Schore. No acronyms, just 5 simple tools. More then Happy by Serena B. Miller is my current favorite. The author is deeply connected to the Old Order Amish community in Ohio. The book is less of a how-to book and more an explanation of the Amish method of intentional parenting to raise a child to be a person of value. I didn’t find myself agreeing with all of it but it was a VERY interesting read and I did take away some ideas I would like to use in my own family. Great list! Teach Your Child to Fish: Five Money Habits Every Child Should Master, is also a great read! Saving this list!! I want to do everything I can to become a better parent. I’m not sure why I never thought about reading some parenting books. Thank you! As a parent, we always want the best for our kids. I’m always on the lookout for interesting books that are recommended. I like the sound of “The Opposite of Spoiled” – it’s important for our kids to learn about managing finances, and I definitely don’t want to unwittingly pass poor habits onto my kids as parents can easily do. I am currently reading How to be a Happier Parent by K J Dell’Antonia. I would highly recommend this to any parent whether your kids are young or older. 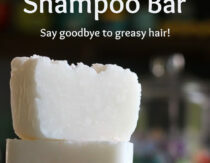 There are a lot of great tips on most of the areas we struggle with such as chores and mornings. Thanks so much for this! I really love How to Talk so Little Kids Will Listen & Siblings Without Rivalry. Both have been a huge help to me & I try to listen to them about once a year to refresh my memory on things. They are well written & easy to listen to. Anything by Sally Clarkson. I’m surprised her books are not on your list. Please look into them. Life changing wisdom & knowledge there. Thank you for sharing this list. I really need some guidance in this area. Can’t wait to read/listen! Triggers: Exchanging Parents’ Angry Reactions for Gentle Biblical Responses by Amber Lia & Wendy Speake. Can’t recommend that book more. They have a follow up book as well – Parenting Scripts. I think the list is missing the best parenting book ever. Peaceful Parent, Happy Kids by Laura Markham. Also, I would love to read some of the books on the list. Thank you! I just had to comment and say how much I disliked the book, “Bringing up Bebe.” I would recommend not wasting your time reading it. It should be called something like “the non-wisdom of un-parenting.” The author disses on American mothers and parenting, only while at the same time recounting how she herself as a mother worked hours every day, basically only saw her child in the morning until around 7:00 or 8:00 am, and then in the evening after 7:00 pm. She tells about how wonderful and caring the day care was where her child basically lived. it was the day care that weaned her child from a bottle and potty trained her. So the whole time I’m reading it’s like the day care basically did all the hard parts of parenting for her! And that’s the “wisdom” of French parenting. A great list- thanks! What is a good way to find audiobooks? Personally, I really loved Bringing up Bébé!